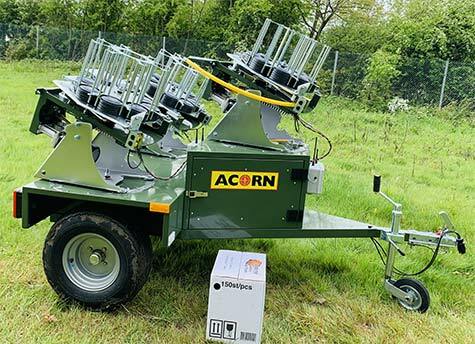 Acorn has produced the most cost-effective, convenient and user friendly Simulated Game Trailer available. 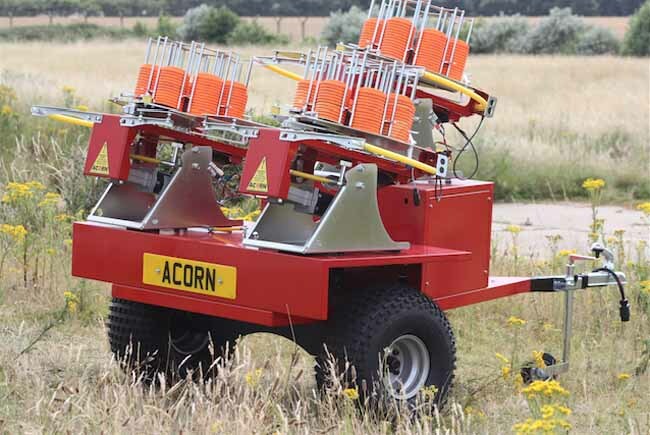 Our Simulated Game Trailer system consists of Three AutoClay carousel traps in a traingle formation. 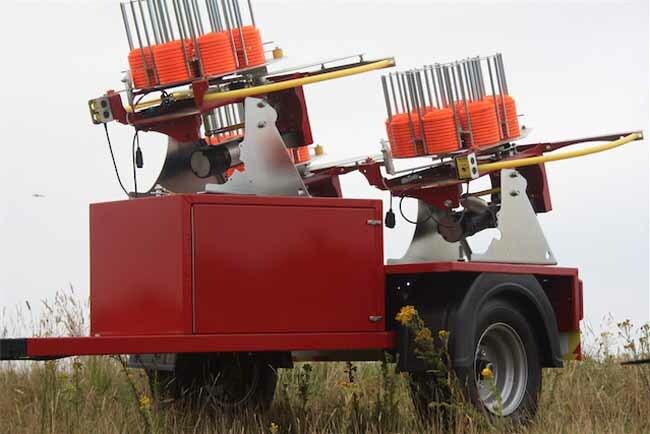 Designed with safety in mind we use one right-handed and one left-handed clay trap in the front which has the added advantage of simulating different flight characteristics of a pair of birds in flight, and one right-handed clay trap at the back. 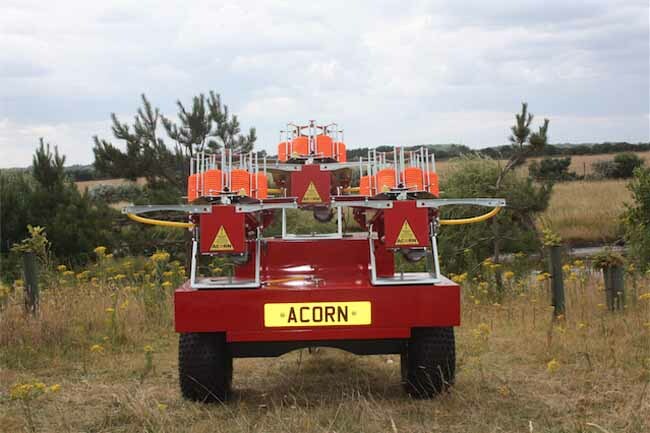 Acorn has produced the most cost-effective, convenient and user friendly Simulated Game Trailer system available. 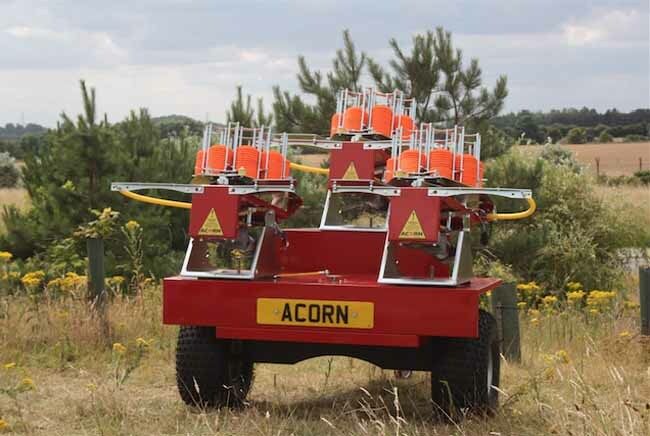 Our Simulated Game Triple Trailer system consists of Three AutoClay carousel traps in a triangle formation. 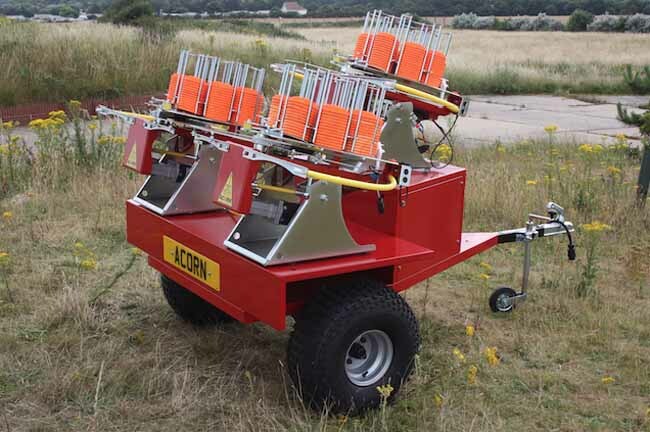 Designed with safety in mind it is possible to use one right-handed and one Left-handed AutoClay 320 clay trap in the front which has the added advantage of simulating different flight characteristics of a pair of birds in flight, and one right-handed clay trap at the back. Each clay trap oscillates left and right and is controlled the Simulated Game Radio Controller Trap Shuffle with speed control, enabling individual or up to 6 guns to have a competitive, uniform (and therefore fair) clay shooting challenge.With a total target capacity of 600 Standard or Midi clays, or with our added Modular Inserts - a mixture of both to keep the shooters guessing. 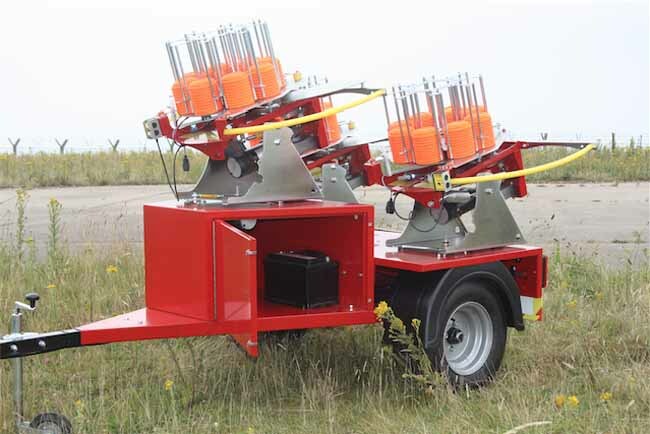 All AutoClay clay pigeon traps are fitted with long olympic class arms and an adjustable super strength Red Spring is available for fast flying targets needed for a driven bird. The trailer unit has a built-in lockable storage facility which houses the 110Ah Leisure battery and charging equipment. The receiver antenna and transmitter stow neatly into the compartment as well for transit and safe keeping. 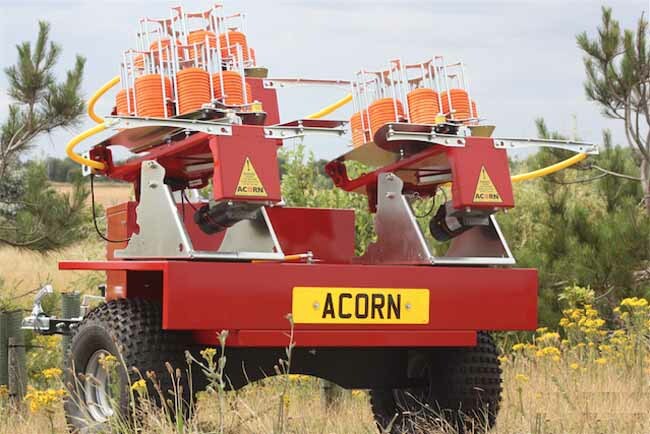 A very important built-in safety feature of the Acorn Simulated Game Trailer is an isolation switch. This protects the trailer from misuse when not attended or whilst in storage ensuring that the unit cannot be powered up unauthorised. 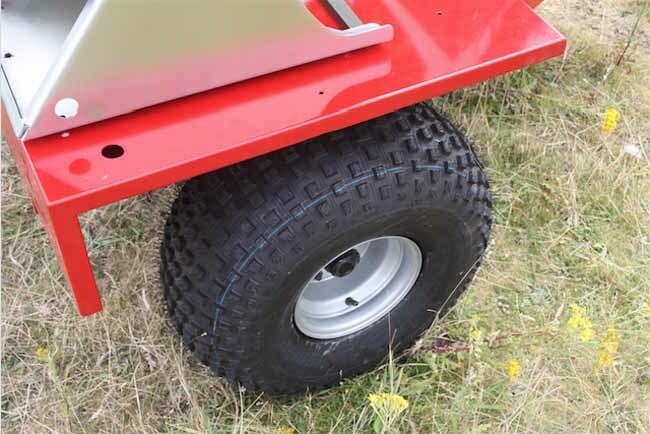 For those customers who do not need to take the trailer onto the road, we have a dedicated Off-Road Game trailer version available fitted with heavy duty balloon type ATV tyres. 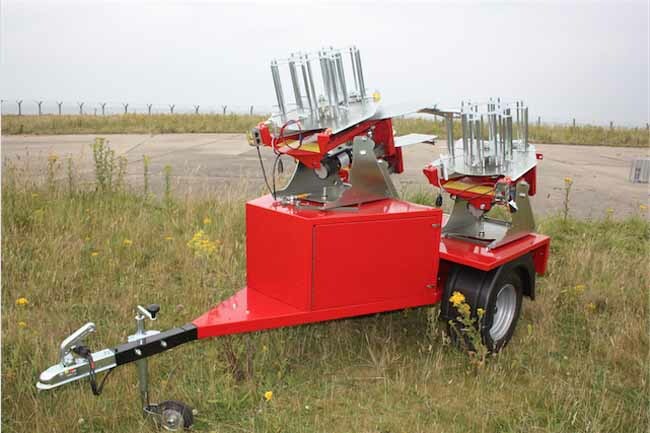 The trailers can be coupled together for easy drop-off on larger game shooting set ups. 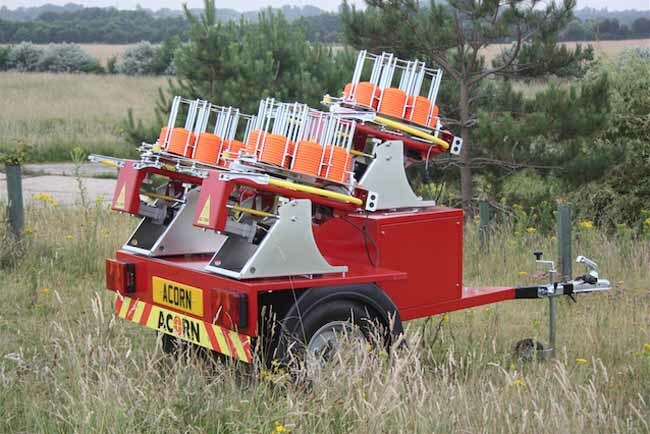 With safety being top priority with all our clay pigeon traps, each machine is supplied with safety guards and a remote on/off disarm switch. 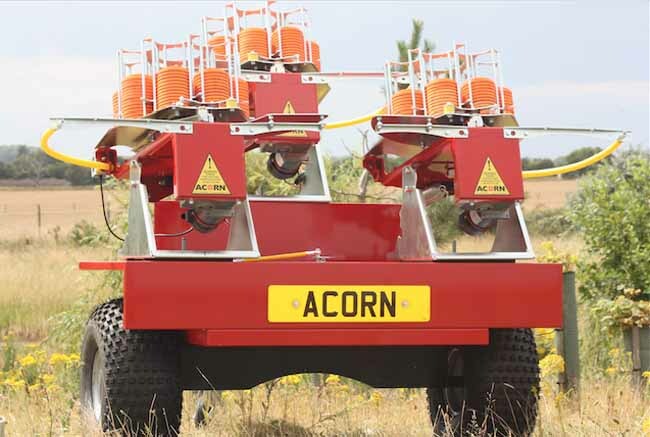 All Acorn Clay Pigeon Traps comply with RoHS, WEEE Directive and CE regulation for safe use and environmental protection. 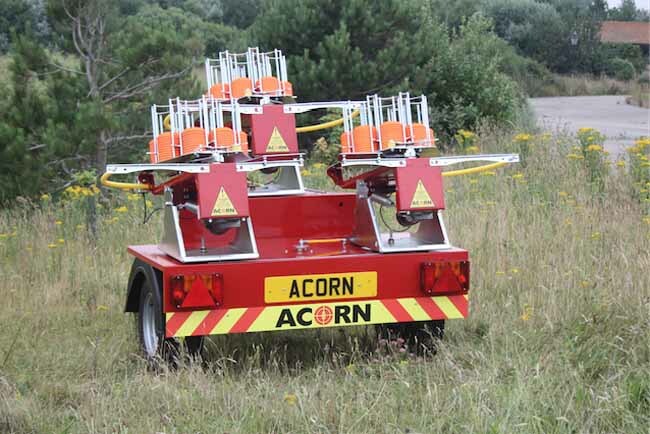 Acorn Simulated Game Road trailer designs have been inspected and approved by the Individual Vehicle Approval (IVA) body.